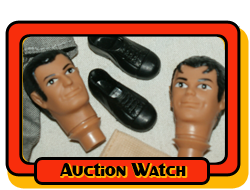 The Mego Price Guide : A recording of Mego ebay auction results. NO DISCUSSION, Just the facts. Italian Robin Hood and Australian Little John in this fun lot.